Following the downturn of coal seam gas projects in rural Southern Queensland, things were looking rather bleak for the energy industry but recently things have been a bit brighter, literally. In what is being described as a solar boom, huge solar farm projects are now in the pipeline with billions of dollars being invested. “We’ve got $1.2 billion of that under construction now, and that’s the exciting thing, this isn’t just about approvals, this is about action to deliver renewable energies to this region,” said Paul McVeigh, Western Downs Regional Council mayor. There has always been plenty of space in the region, but also an ongoing debate about the impact on farming land. With a prudent approach, these concerns have been largely addressed and unlike mining, solar farming doesn’t permanently damage the land and can be easily reverted back to traditional agriculture use if required. Toowoomba mayor Paul Antonio explained “I guess we have to be a bit cautious of the type of land we put it on, but in saying that, the land is restorable, its not going to be destroyed in any mining effort or anything like that, and in 20, 30, 40 years’ time that land will be back to full production.” Toowoomba is set to benefit from a billion dollar project at Bulli Creek. 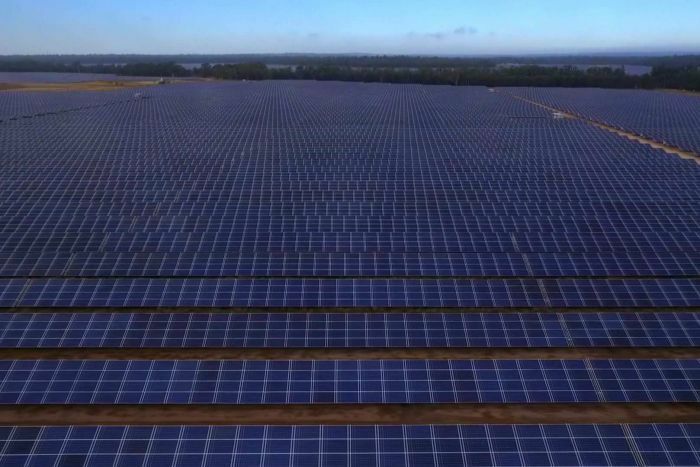 Nearby, one of the first projects is almost complete in Dalby, a $200 million solar farm developed by APA. Warwick will also have a farm operational in 2019, run by the Unversity of Queensland. The project is set to make UQ the first university in the world to offset 100 percent of its electricity use. With numerous other projects on the cards, we’ll eagerly be watching this space. You can read the full story at ABC News.